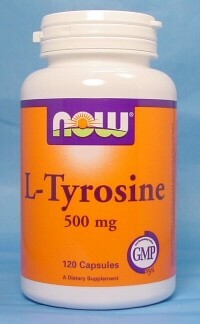 Contains: 500 mg. L-Tyrosine per capsule. Free of: sugar, salt, starch, yeast, wheat, gluten, corn, soy, egg, milk. Other Ingredients: Gelatin (capsule) and Magnesium Stearate.